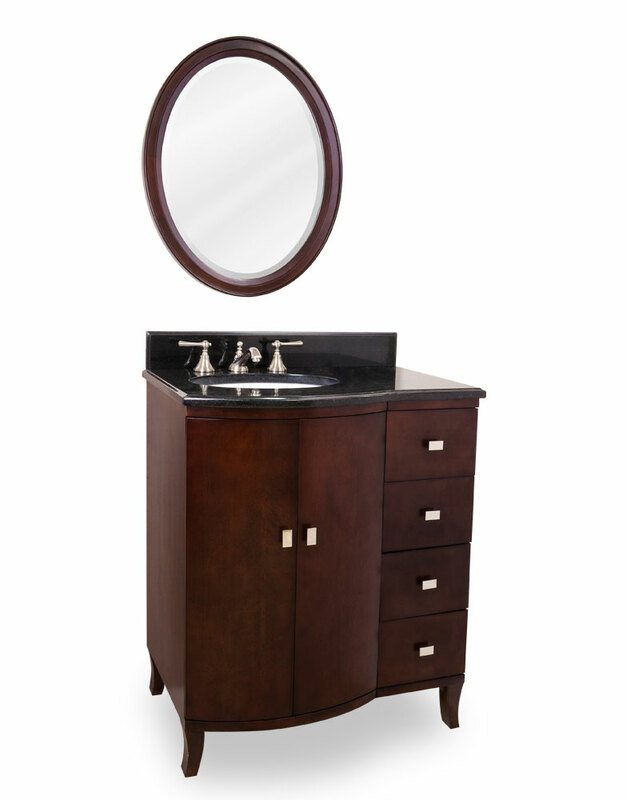 Smart, small, and savvy, our 30" Valentia Single Bath Vanity is one sophisticated vanity for your bathroom. 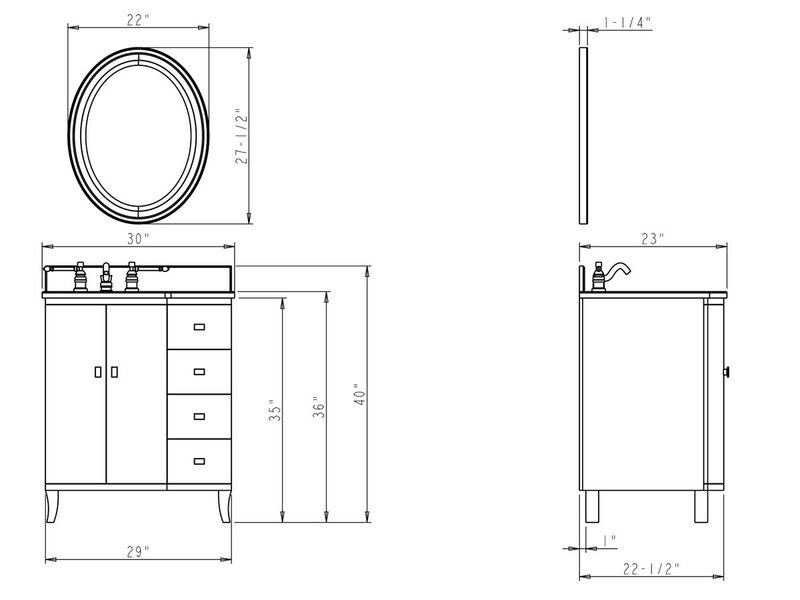 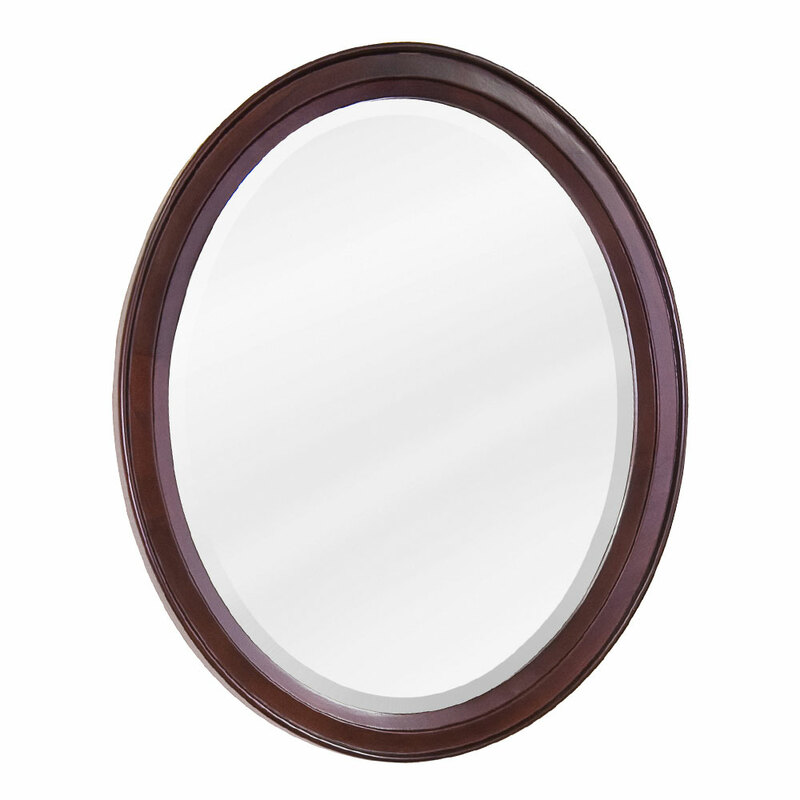 Great for modern and traditional bathrooms alike, the Valentia features elegant lines with a bow-front shape. 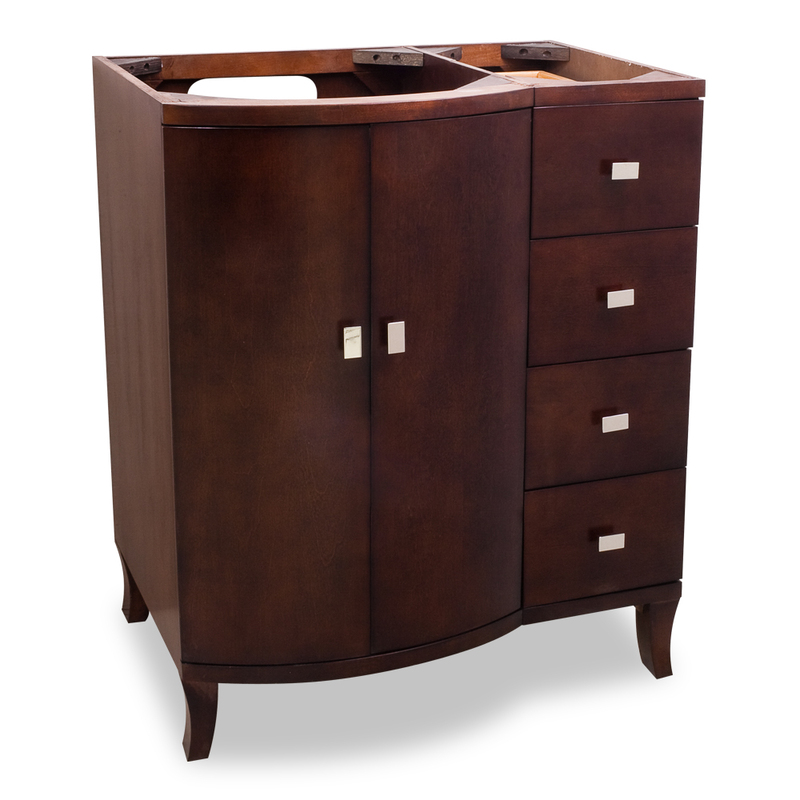 Each of its two, long cabinet doors and 5 side drawers are decked with satin metal knobs. 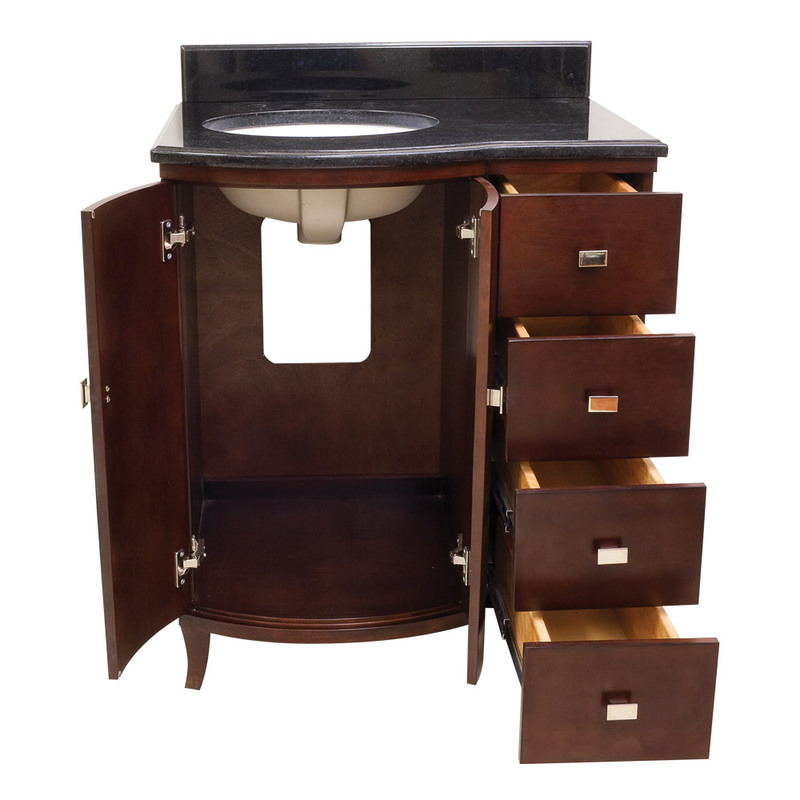 The Valentia is topped with a shining black granite top to complement this classy vanity.